UPDATE 8:50AM—Police have issued a community alert to warn of robberies. The alert connects two of this weekend's incidents to the same group of offenders: Saturday morning's robberies at Clark and School as well as Saturday morning's robbery at Cornelia and Wilton. More info on those robberies HERE. What a mess. Two more people have been robbed since we posted our weekend wrap-up yesterday afternoon. That brings the weekend total to six robbery victims in the area, with four of them being targeted in Wrigleyville and Boystown. Cold weather didn't temper violence citywide, either. According to our friends at Hey Jackass, five people have been murdered in Chicago since noon Saturday. With two weeks remaining, Chicago's had 24 murders this month. It had 28 in the entire month of November last year. The latest to be mugged in our ‘hood is a woman who got strong-arm robbed near on Newport between Halsted and Clark around 5:30 Sunday evening. Police say the offender dropped some of the woman’s property after she chased after him all the way to Clark Street. Good going, girl! Police searched the area but were unable to find the offender, who is described as a six-foot-tall black man in his 30’s wearing a blue hat and blue hoodie. He was last seen running westbound on Roscoe from Sheffield. CPD case HX509410. 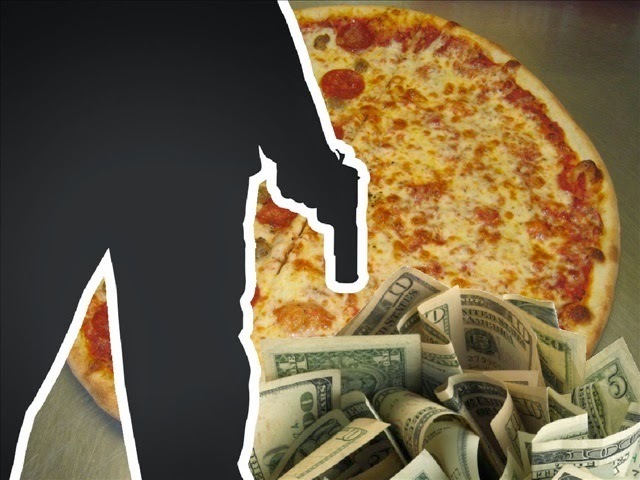 A bit west of us, a Papa John’s delivery driver was robbed around 6:30PM Sunday on Byron, just east of Ashland. One of two offenders brandished a handgun, taking the victim’s ID, credit card, and about $50 cash. The robbers were last seen running northbound. No description is available for one of the men. The other is described as black, wearing a black hoodie that may have had “White Sox-type lettering” reading “Chicago” on the front.